Are you feeling overwhelmed by the amount of work you need to do for the UKCAT? Our website and blog are packed full of tips designed to help your make preparation easier and more valuable. Read these tips before you start to help focus your preparation. Registering for the UKCAT is your first task towards acing your UKCAT exam. It is advisable to register early so that you have more options of test dates from which to choose. It is also important to know what you need to bring with you to the UKCAT, for instance your ID. For more information on registering for the UKCAT and what you need for the day of the test, see our FAQs page. Ensure you are ready for your UKCAT test with JobTestPrep. Start Practising Today! Preparation for the UKCAT includes many different aspects. Tips on how to approach each of the five subtests are included in the subtests’ pages. Our UKCAT preparation packs also contain video tutorials outlining tips for solving some of the trickiest elements of the UKCAT. Take time to prepare - You may find that you need more time than your peers to prepare, or vice versa. Read our blog discussing how much preparation time is needed for the UKCAT. Make a schedule and stick to it - It can be difficult to figure out where to start when faced with so much to do. A study schedule is a great way of organising your preparation step by step. Our guide to creating a study schedule will help you create one that best suits you. We have also created sample study schedules. Take a look at these for an idea of what your study schedule could look like. It is beneficial to prepare for the UKCAT - Practising for a cognitive ability test such as the UKCAT is extremely helpful. Our blog can help you understand the benefits of practice and why good preparation is crucial. Manage your time - The UKCAT is a timed test and each subtest has a short allocated time. Read our blog about time management skills and how thinking about your available time during the test can ultimately help you improve your score. Working with distractors - “Distractor” is the name given to the incorrect choices in a list of multiple choice options. All the UKCAT tests are multiple choice, so working well with distractors is crucial to your UKCAT success. Learn more about working with distractors in our blog post. Chances are the content of the UKCAT Verbal Reasoning section will not be familiar to you, so do not depend on your previous knowledge for this section. Manage your time. You will need to read each of the passages carefully as well as answer the follow up questions. Pay attention to the wording in questions. This will usually provide a hint towards the answer. Realise that the Verbal Reasoning section is not based on your ability to understand the English language (regardless of your mother tongue). Review the four basic functions (addition, subtraction, multiplication, and division) as well as fractions, ratios, and percentages. If you haven’t studied maths recently, your skills may be a little rusty. Make some time during your preparation to go back and review certain mathematical calculations (percentages, ratios, currency conversion, as well as multiplication and division, etc.). You may use a calculator on the test, so it is best to also take the practice tests with a calculator. The test calculator is a basic calculator, so do not prepare on a scientific one. Make sure to use your notepad during the test to help you work out answers. You do not need to answer the questions in order on this test, so you may skip questions you find difficult and return to them after you have gone through the whole section. Always read the instructions thoroughly to know what is expected in each question. One point is awarded for correct answers, while no points are deducted for incorrect answers. Make sure to return to the question, eliminate answers you are certain are incorrect, and take a guess. Points are not eliminated for wrong answers! Practising will help you become familiar with the types of patterns found on the test and will also help you develop strategies to identify these patterns. This is a quick paced section, with just 13 minutes to answer 55 questions. When taking the test, skip questions that may take too long to answer. You can come back to them once you have answered the easier questions. At the start of each set of questions, take a look at Set A and Set B for links between the two groups. This will help you answer all the questions in this section of the test. When looking at the sets, consider what the shapes have in common. This can include size, shape, number of items, shading, colour, direction, position, etc. Taking these things into consideration will also help you to identify the patterns in the sets. Don’t forget to use your notepad to work out answers. Don't use the old Decision Analysis prep material for the 2016 UKCAT as it is no longer relevant. Make sure to manage your time wisely as each question provides different data and you will only have about one minute per question. This section will not be scored this year, and thus your performance here will not affect your chances of getting into a programme. However, you should still make an effort to answer the questions to the best of your ability. Although there is one ‘correct’ answer to each question, there is a lot of debate and discussion over each scenario. Therefore, in the SJT section, you are also awarded marks for selecting an option that is close to the ‘correct’ answer. For example, if there is an answer that is considered very appropriate but you select another answer which is considered appropriate but not ideal, you will still be awarded partial credit. 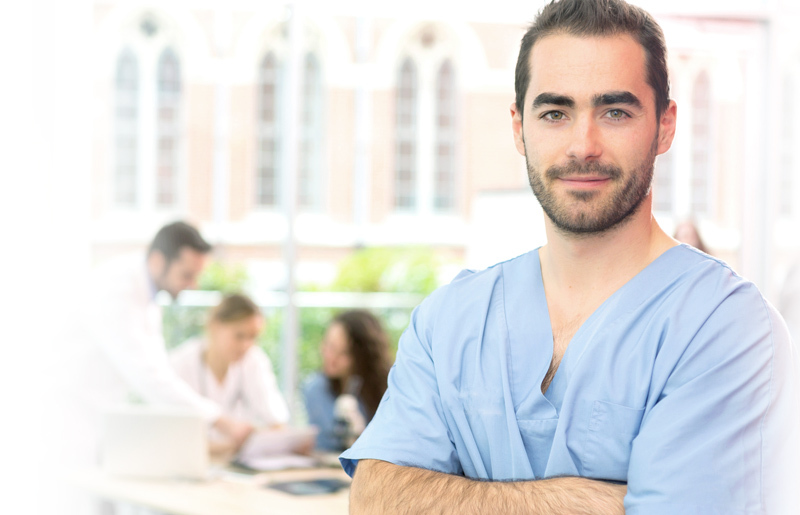 Although you are a student taking this exam, when answering SJT questions, you must imagine yourself to be a full-time healthcare professional acting in accordance with the General Medical Council (GMC) or General Dental Council (GDC). In other words, you must choose what is an appropriate action for a professional doctor or dentist, unless you have been told otherwise. If you are unsure of what is expected of doctors and dentists, visit their respective websites and go over their ‘Fitness to Practise’ and ‘Professionalism’ sections. Do not spend too much time trying to memorise these sections or wondering what they mean – a general understanding of what is expected of healthcare professionals is more than enough. In certain scenarios, the position you are to imagine yourself in will be explicitly stated. For example, the scenario may read that 'you are a 3rd year medical student…' In this situation, do as you’re told. It would be ‘appropriate’, for example, for a 3rd year student to ask for the help of a tutor to confirm a diagnosis, whereas it would be ‘inappropriate, but not awful’ for a qualified GP to do the same. Once you’ve grasped the main concepts, it’s extremely important to remember to use common sense. A great deal of scenarios will have a medical/dental setting to them, but you should essentially rely on common sense to judge an action. When judging the appropriateness of a situation, do not compare an action to other possibilities – only deal with the situation provided in that specific question. For example, if a question notes that 'a patient sitting in a chair has had a heart attack and you immediately phone an ambulance', this is a very appropriate thing to do. Do not get caught up in trying to decide whether it is more appropriate to call an ambulance or to start CPR. The question has mentioned only phoning the ambulance, and thus this is the only factor you should assess for appropriateness. It is important to learn how to manage your time, both in studying for the UKCAT as well as on the UKCAT itself. When budgeting your study time, consider how much time you will be able to sit and study in one sitting (with breaks) and how many times a week you will be able to do this. The recommended amount of study time is two hours every day, starting at least three weeks before the test. Make sure to take breaks and also consider studying different material each hour. When budgeting your test time, notice that you will need to answer more than one question per a minute, on average. Be sure to use a timer when you practise so that you can train yourself to manage your time while taking the test. This will help you determine the best way to prioritise as well as to avoid panicking. By learning to prioritise, you can quickly decide if you cannot answer a question and then move onto the following question. Be sure to mark any question you are not sure of so that you can return to it if you have enough time at the end of the section. By keeping calm, you will maintain a clear head and you can then complete each section with enough time to look over your answers. While budgeting your time on the UKCAT is important, your UKCAT technique is also crucial. You need to have a complete understanding of what is being asked of you. Before practising the UKCAT in timed mode, go over a mock test to gain a full understanding of what is actually being asked and what kinds of responses are expected. This will allow you to improve you UKCAT technique.